One of the more interesting jobs we have carried out recently (not just because it got into the local paper!) 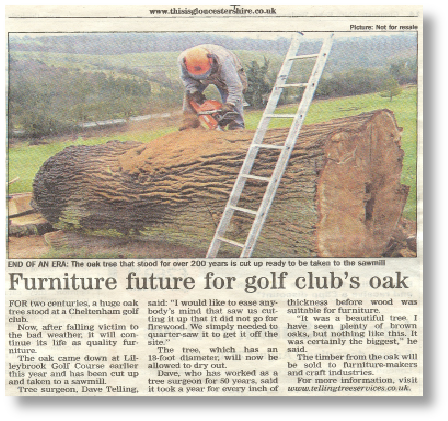 is the removal of this very large Oak from a Golf Course in Cheltenham; the tree itself had blown down in strong winds. 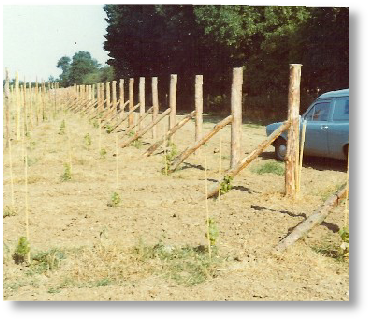 We have carried out some very interesting jobs during our fifty years. 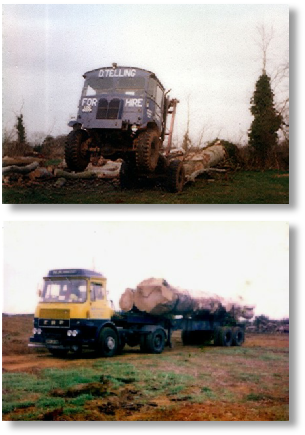 The first job was to saw the tree on site, first in half, then into quarters; this enabled us to load the timber on to our timber trailer and remove it from site. Even after quartering the trunk, each quarter still weighed over a ton! This Brown Oak will now be sawn into planks on our sawmill, then seasoned and finally sold for furniture making. 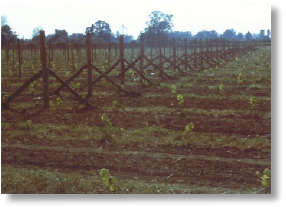 The installation of this vineyard in Ashton Keynes, back in the 1980s, involved erecting over 2000 posts to support the vines and boring over 10,000 holes to plant the grape vines! 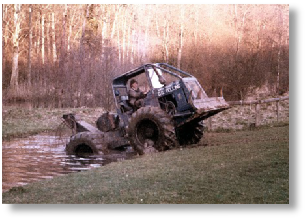 We have experienced many events during our 50 years which have vastly changed our woodlands, from Dutch Elm Disease in the 1970s to the wind blow of 1987. 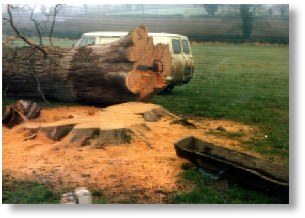 During Dutch Elm Disease, we felled over 700 infected Elm trees on one estate alone. 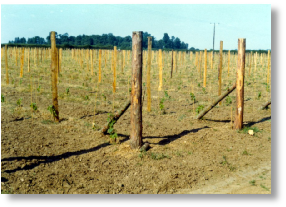 We felled approximately 1500 to 2000 Elm trees a year over a ten year period, when the disease first hit. To this day we are still felling infected trees.